Icewarp Mail server issues all email message strings, such as errors, notifications, confirmations, etc. in English by default. 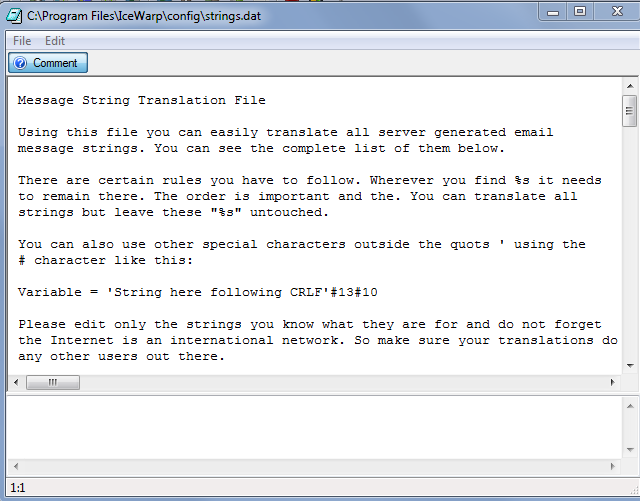 You may wish to translate all these strings so that you can localize Icewarp Email Server for your community. 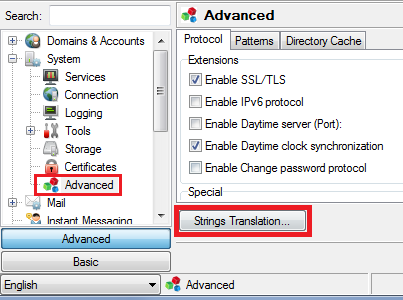 Warning: In the translations, the %s system variable is used extensively; it must remain in place, as it is substituted with system information - time, error number, etc..